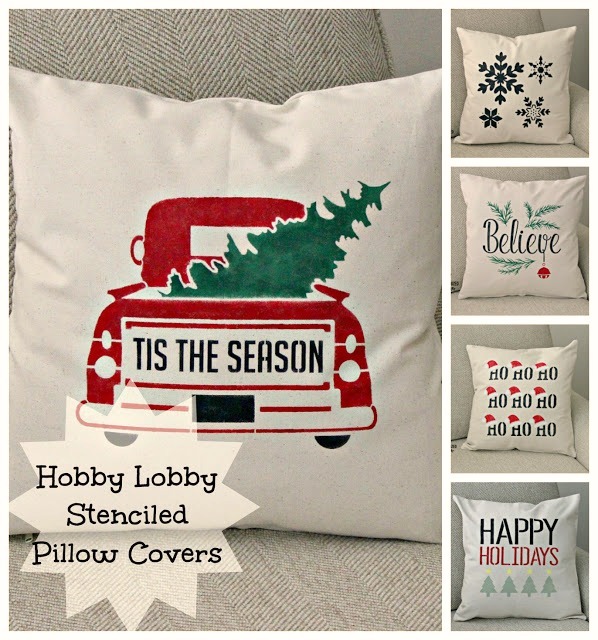 I love these 18" x 18" natural canvas pillow covers from Hobby Lobby. They are also available in 16" x 16" and 12" x 20" sizes. I like the 18" x 18" because they are the standard sofa pillow cover size. 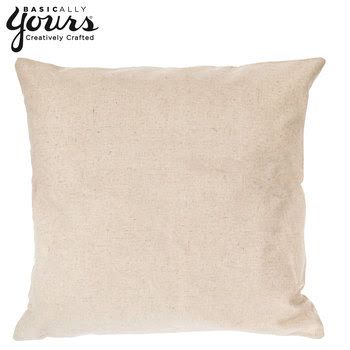 Instead of storing a bunch of puffy, seasonal pillows, I can just change the cover on my everyday sofa pillows. Much easier! Today I am sharing five stenciled Christmas pillow covers that I decorated for my daughter, myself and for a church craft sale. First I iron the pillow covers to remove the center folds, and any other creases in the fabric. I place a piece of cardboard in between the pillow sides, just in case, I get any paint bleed through. I now have a cardboard t-shirt form from Hobby Lobby that works really well for this purpose. I don't have to move the cardboard up or down or from side to side if my design is large. For my first pillow cover, I used a stencil from FolkArt Holiday Value Stencil Pack . I taped it onto my pillow cover with blue painter's tape. Measure with a ruler to center the stencil. 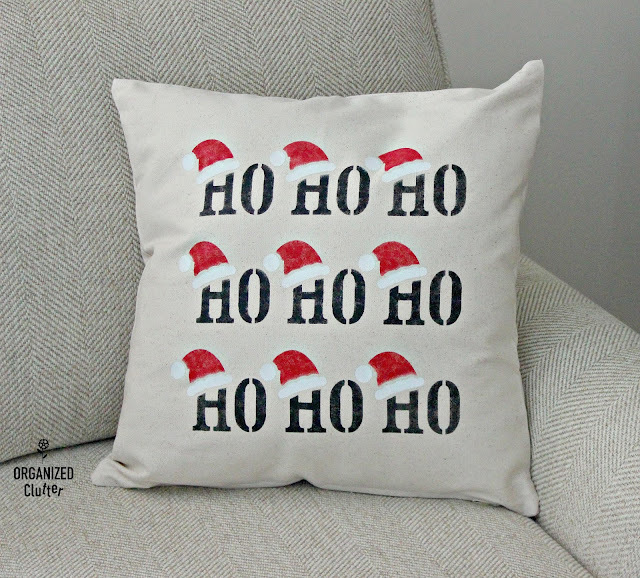 Paints I used for this pillow cover include: DecoArt Chalky Finish Paint in Rouge , Ceramcoat Select Multi-Surface Paint in White , and Fusion Mineral Paint in Coal Black . Here is finished Christmas pillow cover #1. I found this vintage truck stencil at Home Depot. Paints I used to stencil this pillow cover include: Fusion Mineral Paint in Coal Black , DecoArt Chalky Finish Paint in Rouge , and Annie Sloan Chalk Paint in Amsterdam Green. 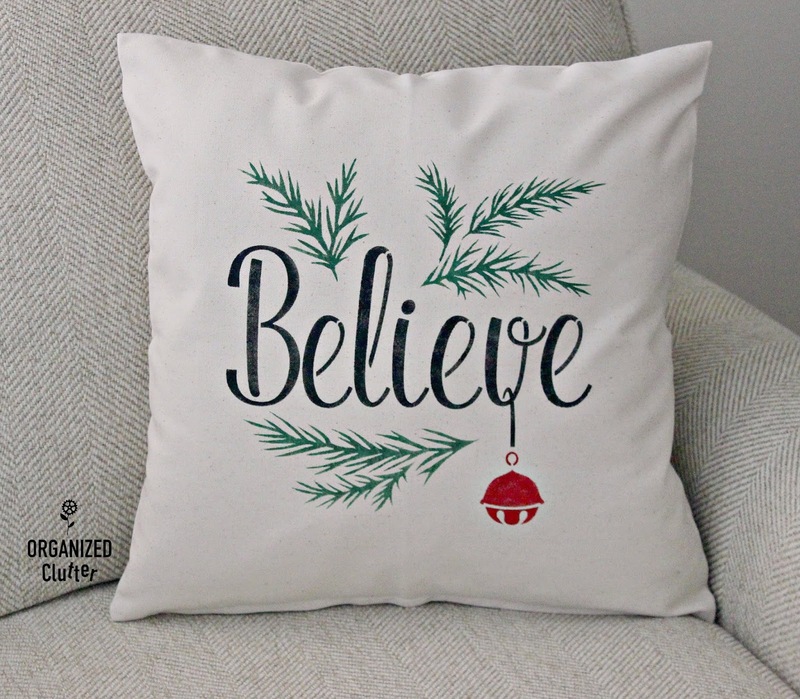 This is stenciled Christmas pillow cover #2. This stencil is from Home Depot too. I used the same three paints on this pillow cover as I did on the vintage truck pillow. Here is stenciled Christmas pillow #3. 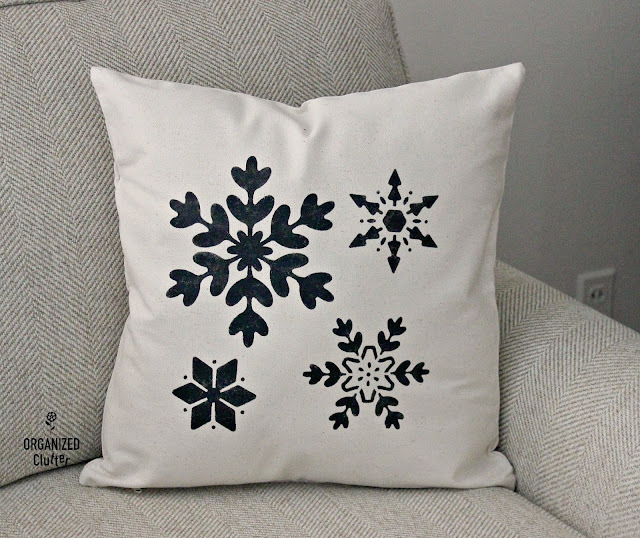 For the next pillow cover, I used another stencil from the FolkArt Holiday Value Stencil Pack . 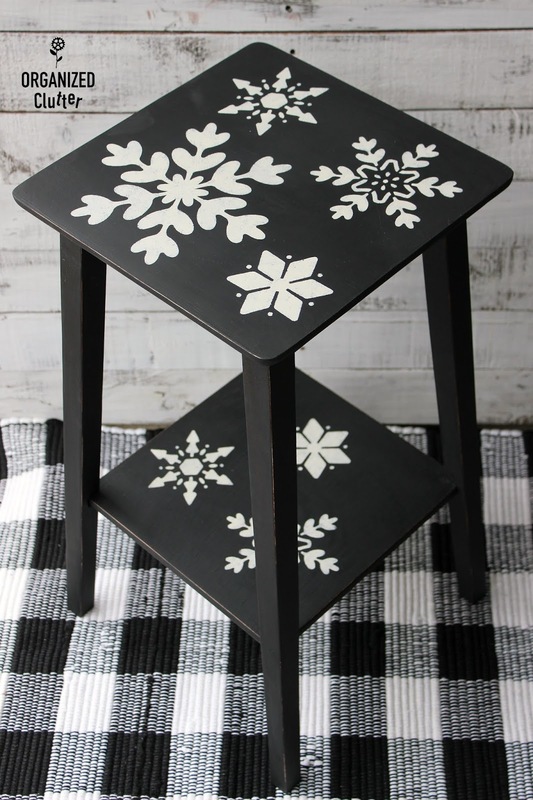 I chose Fusion Mineral Paint in coal black to stencil on the snowflakes. 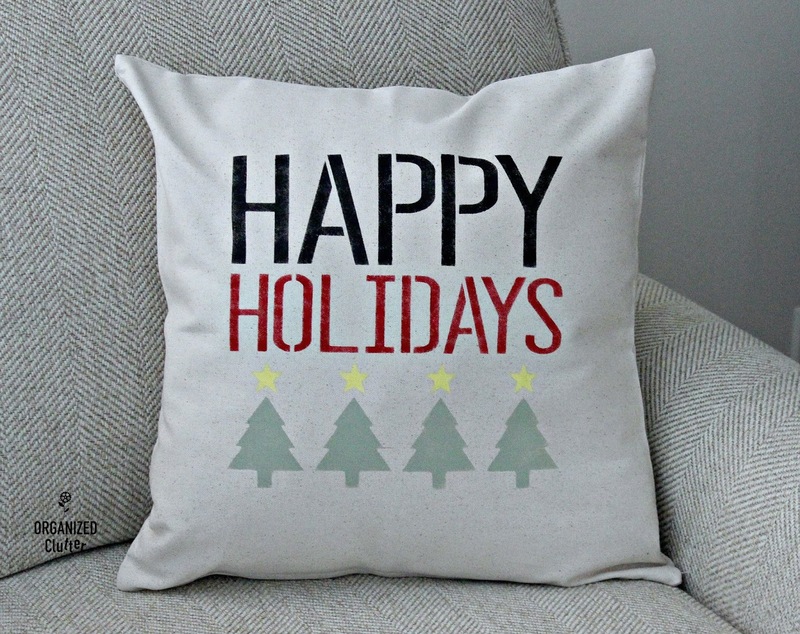 Here is stenciled Christmas pillow cover #4. On a small table project. This pillow cover features yet another paper stencil from the FolkArt Holiday Value Stencil Pack . Paints I used include: Fusion Mineral Paint in Coal Black, Decoart Chalky Finish Paint in Rouge, Waverly Inspirations Matte Chalk Finish Acrylic Paint in Celery (Waverly paints available at Walmart too), and Ceramcoat Select Multi-Surface Paint in Pale Yellow . 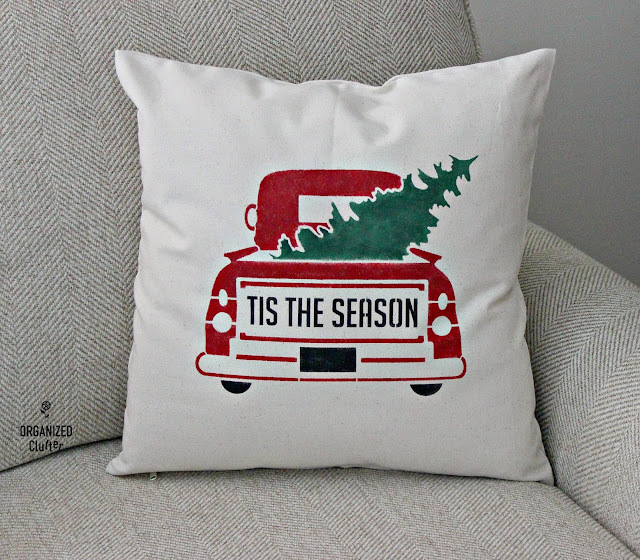 Here is stenciled Christmas pillow cover #5. There is some debate on the internet if setting the acrylic paint with an iron is necessary or not, I erred on the safe side by ironing my pillow covers with parchment paper. See this video. 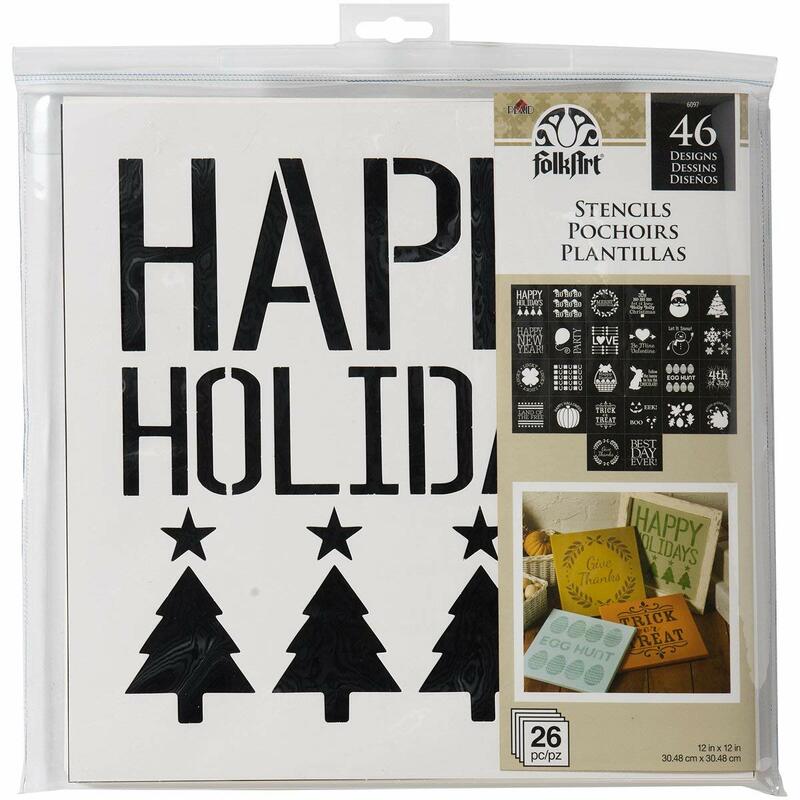 I am back from a Thanksgiving family gathering in the twin cities, where I scored the Trifecta, Joann Fabrics, Hobby Lobby AND Michael's, all on black Friday! Beautiful Carlene! 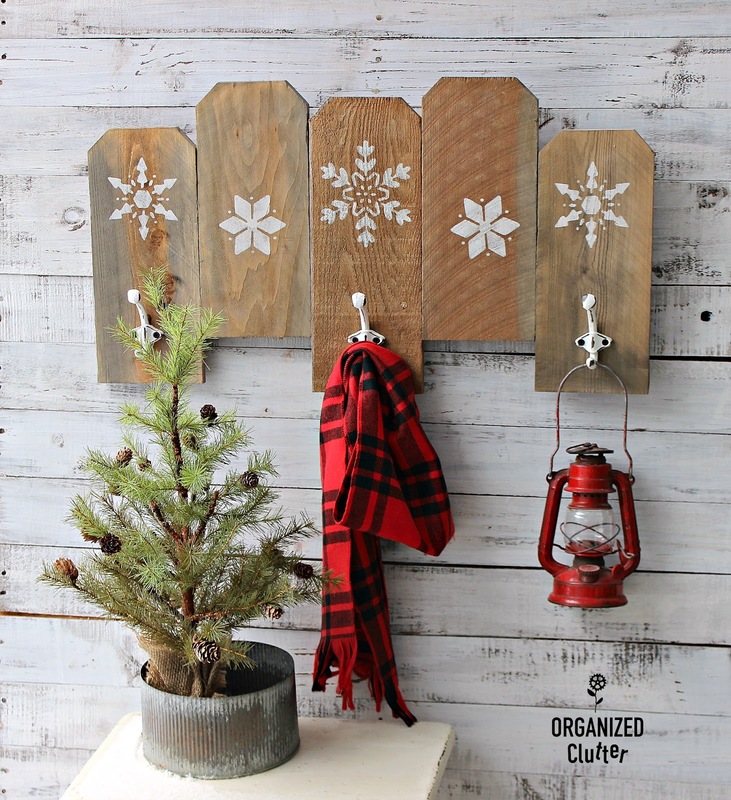 You certainly know exactly what to do with every stencil you get ahold of! 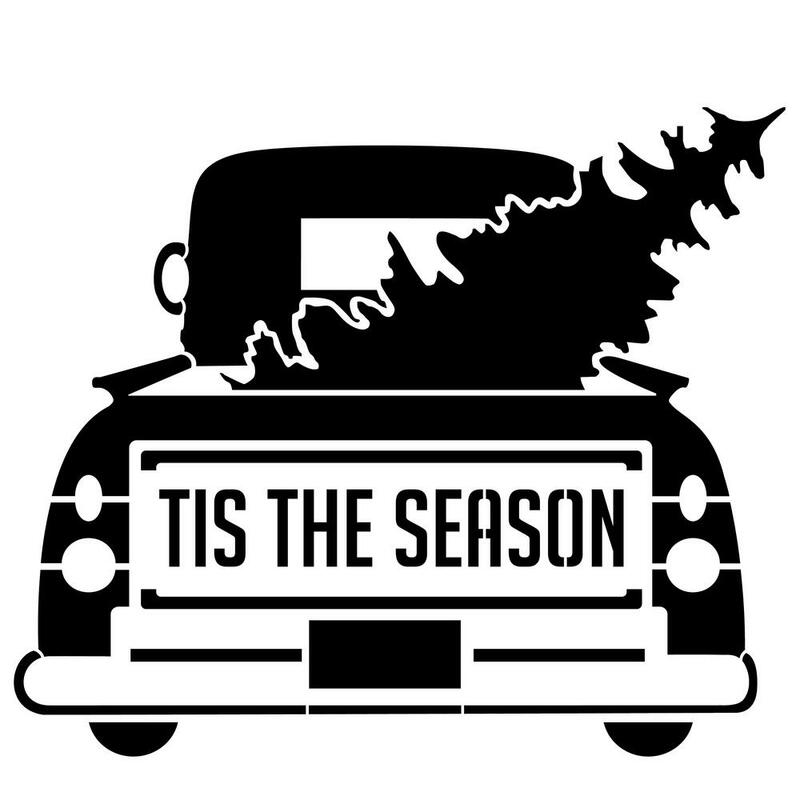 Loving all your festive touches! Thanks for today's inspiration!